The fire damaged 32 buildings, displaced at least 18 people and forced the city to declare a state of emergency. And it all began, officials say, because a man wanted to imitate a stunt he'd seen on TV. 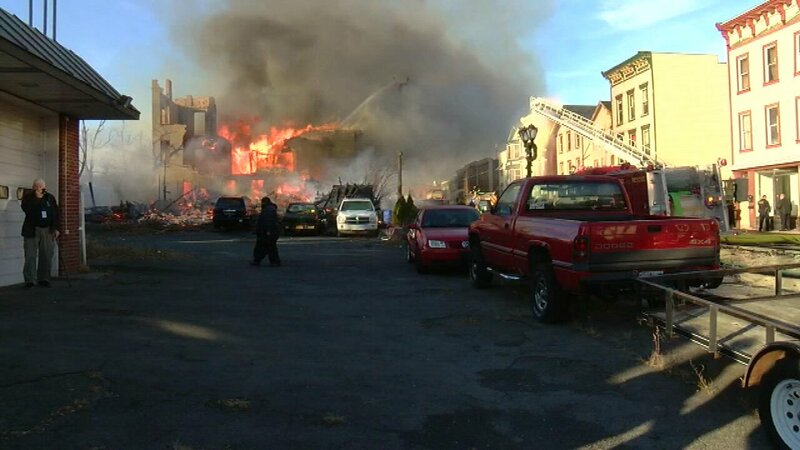 The fire broke out Thursday in a neighborhood in Cohoes, New York. The man was trying to bend metal with fire in a barrel, said Cohoes Fire Department Chief Joseph Fahd. He was trying to create a sword -- something he'd seen done in the TV show, "Forged in Fire." The reality show pits bladesmiths against each other as they compete to recreate historical weapons. But it was very windy that day. And the extreme wind conditions caused the fire to spread several blocks, Fahd said. It took firefighters six hours to get the fire under control. Police charged the man, 51-year-old John Gomes, with fourth-degree arson and reckless endangerment. Mayor Shawn Morse, a firefighter himself for 26 years, called the incident "heartbreaking." "The city," he said, "is working as hard as it can to rebound and return to a sense of normalcy."